M12 FUEL HACKZALL. 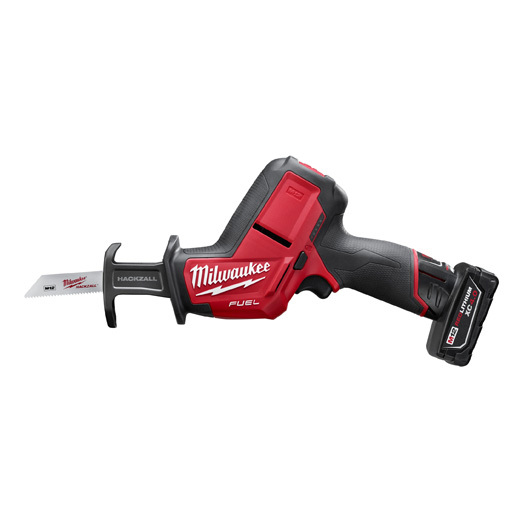 Milwaukee Electric Tool 2520-21XC M12 Hack all Saw Kit has a 1 Handed design, Provides Superior Control and Versatility, Compact Size allows For Cutting In Tight Spaces, Light Weight Makes Overhead Work Easier, Power state Brushless Motor Supplies Constant Power For Faster Cuts and Reduced Heat For Extended Life, Red Link Plus Intelligence, Red Lithium XC 4.0 Battery Pack Provides More Work Per Charge, Dual Gear Counter Balance Mechanism Significantly Reduces Vibration, Providing Faster Starts In Metal and Reduced User Fatigue, Includes, M12 Red Lithium XC 4.0 Extended Capacity Battery Pack, M12 Lithium-Ion Battery Charger, Contractor Bag and Multi-Material Blade. 1 Handed design,Provides Superior Control and Versatility,Compact Size allows For Cutting In Tight Spaces.